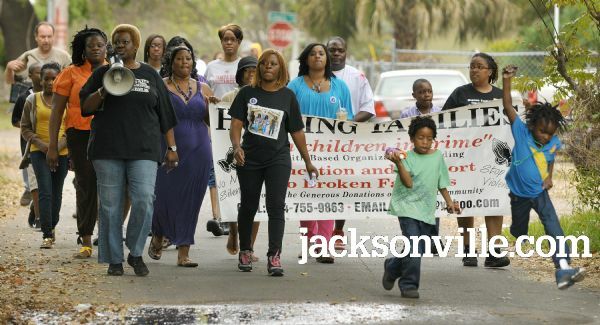 With Tiphne murder still unsolved, Jacksonville citizens are urged to come out and take part in the "Walk for Tiphne" in the mixon town community on the the westside. Tiphne Hollis was 16 years old a Ed White High school student who was murdered on March 20, 2010. Now that Tiphne is gone, awareness is the family's priority. The walk will begin on the corner of Calvin & Belfort st. Anyone and everyone can participate! The Tiphne Darshay Hollis Foundation, family and local residents plan to host the the Tiphne Walk on the 20th of each month at 5:45 pm until this unsolved murder case is stamped "SOLVED". For more information, contact TDH Foundation at 904.444.2641.